All kinds of Chicago music-AM radio pop, free-spirited R&B, bold Afrocentric jazz, soulful funk-came together to shape her incredible voice. Chaka Khan came into the world on March 23, 1953, as Yvette Marie Stevens-her jazz-loving parents named her after the Stan Getz song "Yvette." Though she'd go on to become an icon of powerhouse funk, that name pays homage to white mainstream jazz-an apparent mismatch that makes more sense when you consider all the ways Chicago's diverse musical culture helped mold her. Given all the impressive younger women in this year's Pitchfork lineup, it's tempting to bring up Khan's anthemic 1978 smash "I'm Every Woman" as a way to talk about her influence on decades of future divas. But because we're also talking about Chicago, where musical miscegenation has long defied the harsh realities of segregation, it's more interesting to look back-to remind ourselves how the city's most dynamic daughter emerged as the culmination of a long process of genre crossover and collision. In 1964 11-year-old Yvette and her sister Bonnie (aka Taka Boom, who later sang with the Undisputed Truth) formed the Crystallettes, a girl group with Motown-inspired aspirations. They covered hits on the talent-show circuit that nurtured future stars such as Minnie Riperton (then a 16-year-old singing with the Gems) and the Emotions (then performing with their father as the Hutchinson Sunbeams). Stevens had grown up going to the Point in Hyde Park with her father to hear free-jazz improvisers playing in the park, though, and for her the pop path was more of a detour. The Crystallettes would find their true voice when she and Bonnie joined the Shades of Black, an Afrocentric ensemble that performed regularly at the Affro-Arts Theater at 39th and Drexel. Run by AACM cofounder and former Sun Ra collaborator Phil Cohran, the theater was a multimedia venue that billed itself as "the only continuous valid black experience in the midwestern sector of the United States." The Shades were often backed by Affro-Arts soul-funk band the Pharaohs, whose members demonstrated the permeability of the boundaries between Chicago scenes. While they made uncompromisingly radical music at night, by day they worked as session musicians on hits from Chess Studios and cut jingles (including one for Afro Sheen). It was at Affro-Arts where a Yoruba priest renamed the young Yvette "Chaka," meaning "woman of fire." Chicago's most popular black music in the 50s and 60s came from Michigan Avenue's Record Row, home to Chess and Vee-Jay-the former defined electric blues and urban rock 'n' roll, and the latter rivaled Motown with the quality of its doo-wop, soul, blues, and pop singles. Vee-Jay veteran Curtis Mayfield took Chicago R&B to its apex, forming Curtom Records in 1968 and developing an alchemy that combined the musical freedom of the Summer of Love with the city's most riveting soul hooks, production, and flavors. Curtom's most unusual signee was James Ramey, aka Baby Huey, a king-size R&B showman whose hard-gigging party band, the Babysitters, won devoted fans on both sides of town. In late 1970, Huey was working on his debut Curtom LP when he died from a heart attack brought on by his weight and his drug use. His posthumous LP was a masterpiece that profoundly influenced hip-hop, but perhaps more influential was another post-Huey development. After Shades of Black, Khan joined the R&B band Lyfe, with soul singer and guitarist Cash McCall and singer-songwiter Gavin Christopher (who would later write hits for Rufus, including "Once You Get Started"). Thanks to that exposure, she was invited to replace Baby Huey in the Babysitters. That gig lasted till the band split up around a year later, and she spent it perfecting her chops at a succession of clubs, including Rush Over, Lolly's, Nero's Pit, and Mother's. These dynamic performances caught a lot of ears, and Khan was subsequently recruited for Rufus, a funk band formed from the ashes of one of the least funky acts of the late 60s. Four founding members-drummer Lee Graziano, bassist Chuck Colbert, guitarist Al Ciner, and keyboardist Kevin Murphy-had played with Chicago pop pillars the American Breed, whose "Bend Me, Shape Me" was a top-ten hit in the winter of 1967 and '68. Their sound was a popular one among Chicago bands of the era: basically sunshine pop with a prominent horn section. In 1970, having decided to pursue soul and funk instead, they enlisted vocalist Paulette McWilliams and went through a few name changes, eventually landing on "Rufus." 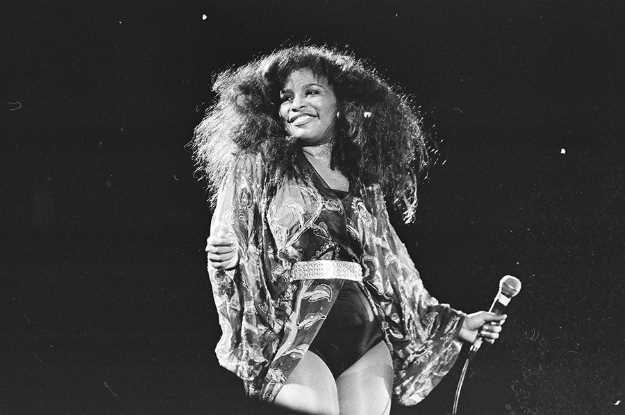 In 1971 McWilliams decided to leave the group and found her own replacement in the form of her friend Chaka Khan, whose work with the Babysitters and south-side stalwarts Lock & Chain had seasoned her vocal and performance powers. Producer Bob Monaco, who'd previously worked with Chicago garage rockers the Cryan' Shames and the Buckinghams, caught one of their gigs and helped get them a deal with ABC Records. Their debut album, Rufus, came out in July 1973, and "Whoever's Thrilling You (Is Killing Me)" became a minor soul hit, earning the band a national TV spot on Soul Train. Rufus's real breakthrough came the following year, with a song written by Stevie Wonder: "Tell Me Something Good." Soon after Rufus released their sophomore album, 1974's Rags to Rufus, Ciner quit the group, severing the last remaining link to the original American Breed lineup. Khan finally left in 1982, several years after she'd become a star in her own right. But the influence of AM radio pop, as well as the radical sounds of the jazz underground and the seductive grooves of Chicago's R&B masters, would live on in one of the greatest musical instruments shaped in the fires of Chicago's musical forge. As the crowds in Union Park will soon learn-if somehow they don't already know-Chaka Khan's voice is the Windy City at its best.